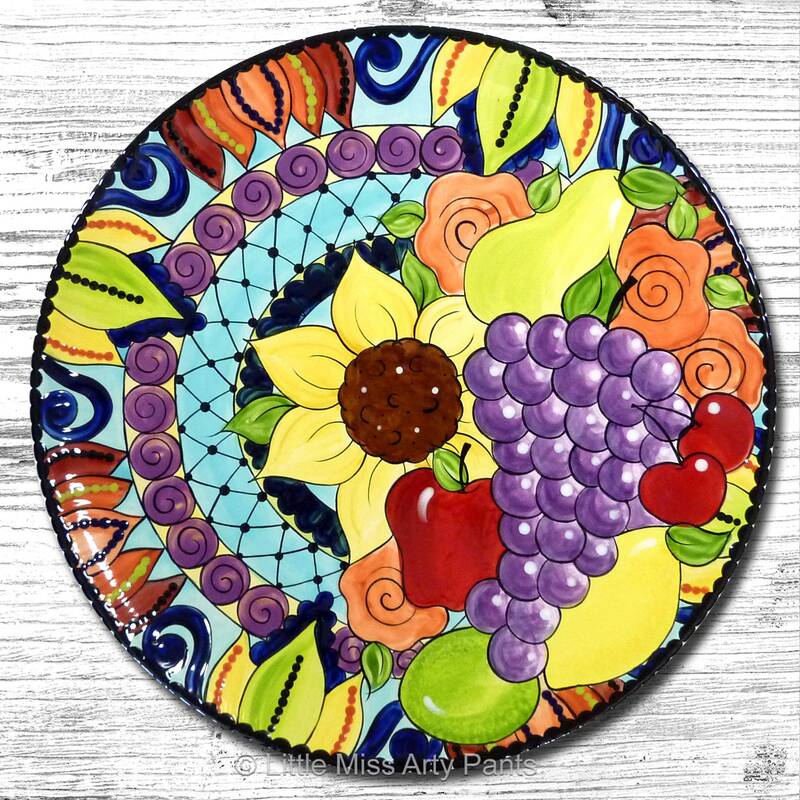 This 15 inch platter is one of my original designs inspired by my mandala drawings. 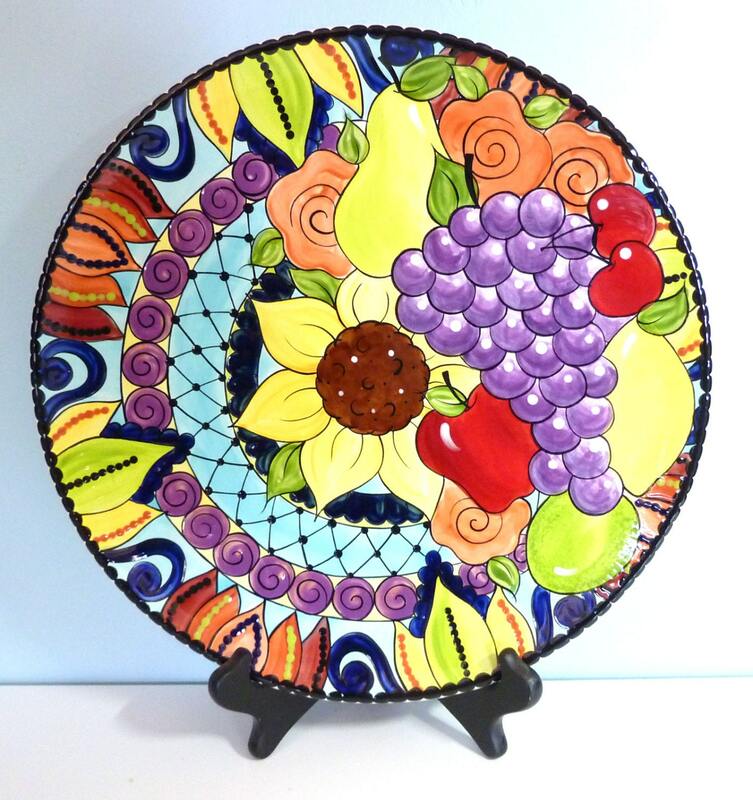 All hand painted by Artist Tina Rosel. 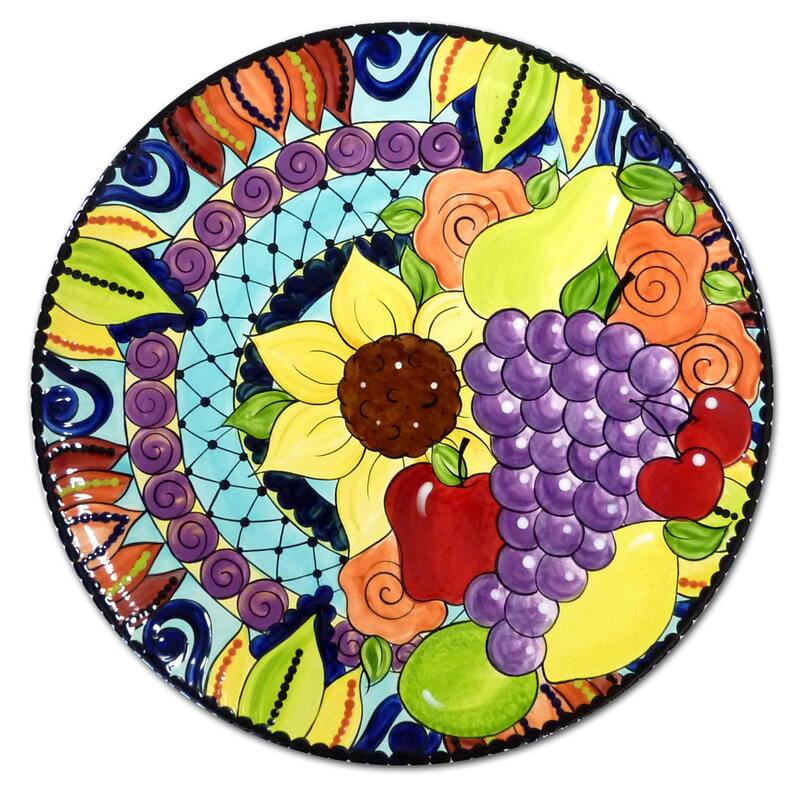 A Fun and colorful platter that is beautiful to display but safe to use as a serving platter.